Most people would enjoy the thrill driving a high performance vehicle. Whilst a good alarm, an immobiliser and better physical security are a must to protect a sports car from theft. What happens when it does occur? Usually the sports car owner will alert police when they are aware that the car has been stolen (which may be many days or weeks if the owner has been away on business or holidays). Then it could be an agonising number of days wait until the vehicle is found, usually with some major damage. a) Know when the sports car has been moved from its storage location (SMS alert). b) Direct police exactly to the GPS co-ordinates where the sports car is right now. And be able to remotely disable the ignition, so once the vehicle has been parked, it can no longer be operated. A GPS tracker like the fleetminder FM NxtG-V model provides remote disabling functionality and can even lock doors and sound the alarm. 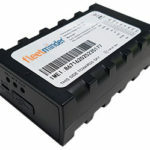 The fleetminder GPS tracker (FM NxtG-V) is an easy accessory to fit – two wires for power, one for the ignition so key on/ key off events can be recorded on the Live Tracking software, an input to alert the owner if the car alarm goes off, and an output to remotely disable the car. Usually a simple SMS text command is sent from the car owner’s mobile phone to the GPS tracker to find the location of the sports car and another command to disable it – e.g. to disable the ignition or the starter motor. A driving route history with every 3 minutes mapped out can be viewed on a Live Tracking software system. These easy-to-use software and mobile phone apps make it quick and convenient to find the missing sports car and disable it from being driven again. GPS trackers are an inexpensive must-have accessory for sports car owners wanting to protect their pride-and-joy.